Science can easily become a true passion for young students. Use these tips to help them engage in this educational method of discovery. 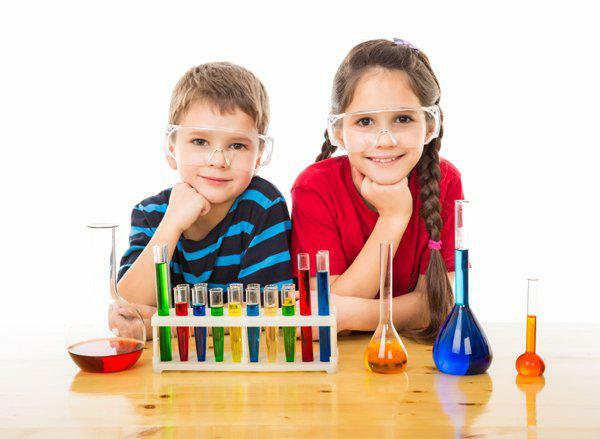 t Science is essentially a method of discovering the world, which is something that most children love to do. However, to many students, “science” still resembles an inaccessible subject — something geniuses conduct in secret laboratories. In reality, science is a process we use every day. t Parents and guardians can foster an interest in and a love of science by incorporating these easy tips into their everyday lives. t Encourage students to develop experiments that help them answer their own questions. Even if the means of discovery (a telescope, a drill or a highly technical laboratory experiment) are unavailable, contemplating how to locate answers to a question is a key component of scientific thinking — and will most likely satisfy your children’s insatiable curiosity. t Television shows about science are becoming increasingly popular. Encouraging children to watch programs like MythBusters, How It’s Made or even the fictional Doctor Who is an entertaining, simple strategy for making science a part of children’s everyday lives. It’s less important that the science be real and more important that the science should seem amazing. If your burgeoning scientists already adore television, you can easily use that to your advantage in aiding your children to view science as accessible, enjoyable and fun. t Another location to combine interests is the outdoors. A hike or several hours spent at the lake can easily become a scientific trip if you simply take time to observe and ask questions. Bring a notebook and encourage children to write down any interesting animal behavior, plant growth, geological features or even human mannerisms they observe. If the family goes to the beach, take a walk down to the shore, locate a tide pool and count the different types of life you notice. t Many great discoveries result from collaborative efforts between scientists, and parents don’t have to go it alone, either. Visiting museums, factories and research institutes will help supplement a science education, provide students direct access to individuals in the field and perhaps even introduce children to possible careers and subjects of interest. Many organizations, such as the Smithsonian Institution, offer virtual field trips and online labs to provide families with budget-friendly and time-sensitive options. tFor more tips and strategies to help your student succeed in school, visit www.varsitytutors.com.